To everyone’s surprise, JM De Guzman and Jennylyn Mercado highlighted the recently held partnership announcement of the two of the most sought-after brands in the country, Acer Philippines, which is a leading tech and innovations company and retail giant, SM. Held at the elegantly decorated Mega Fashion Hall at SM Megamall, #MalayangPasko Holiday Promo is the Christmas offering of the two top brands that will share exciting Yuletide deals and freebies that everyone would enjoy. 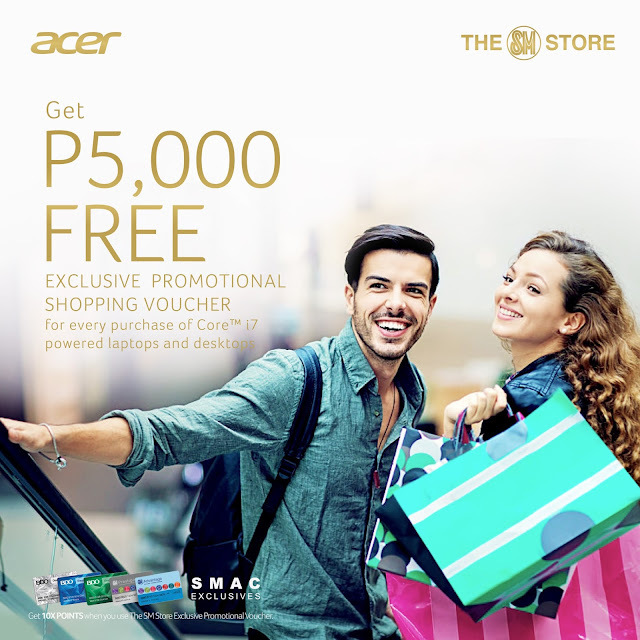 #MalayangPasko Holiday Promo will run until December 31, during which every purchase of qualifying Windows-based Acer Aspire laptops, desktops, and AllInOnes will come with free The SM Store Exclusive Promotional Shopping Vouchers. Customers who will purchase Intel Core i7-powered laptops and desktops will get shopping vouchers worth Php5,000.00, while customers who will buy Intel Core i5-powered laptops and desktops will receive Php3,000.00 worth of shopping vouchers, and lastly, customers who will avail Intel Core i3-powered laptops and desktops, and projectors will be given Php1,000.00 worth of shopping vouchers. Chelo C. Monasterio, President of The SM Store, shares that The SM Store is grateful and deeply honored to have been chosen by Acer as a partner for its holiday promo and they hope that with SM’s help, Acer will be able to truly bring the festive spirit of Christmas. But the surprise doesn’t end there, because if you are an SM Advantage holder, additional exclusive rewards will be given to you! Yay! 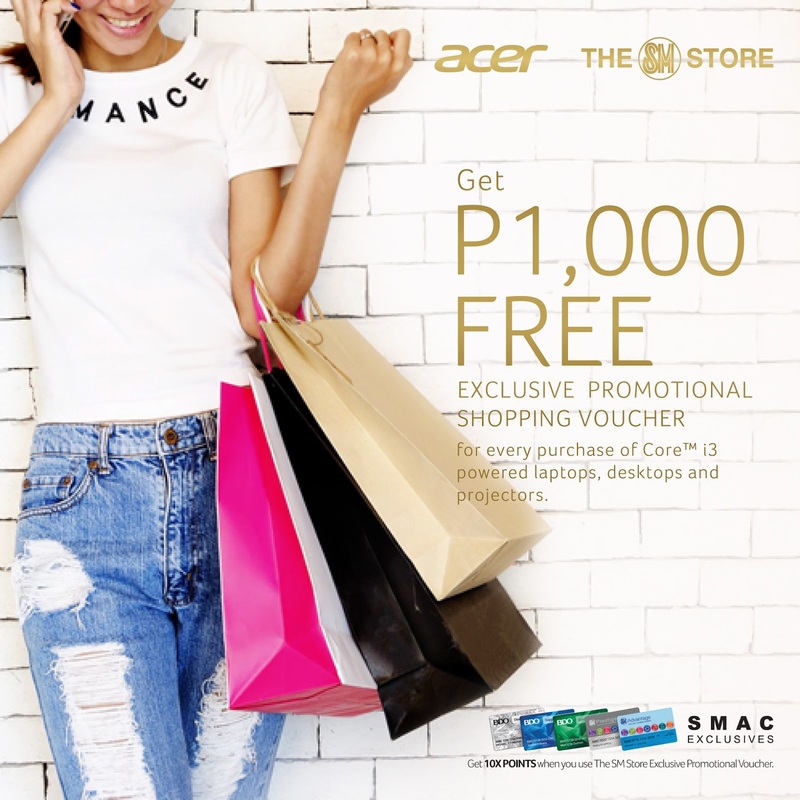 Shoppers can get 10x more SMAC points whenever they redeem using their Exclusive Promotional Voucher in The SM Store. Just preset your SM Advantage Card, SM Prestige Cards or BDO Rewards Card when purchasing at The SM Store. Christmas feel at the Mega Fashion Hall was felt all over when the surprise guest, Morisette Amon, serenaded everyone with her heart-stopping rendition of our favorite Christmas hits – oh, she was sooooo damn good! Really amazing!! !